"Ethan Coen" redirects here. For others with a similar name, see Ethan Cohen. "Joel Coen" redirects here. For others with a similar name, see Joel Cohen. 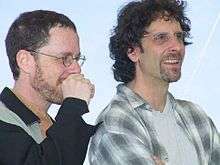 St. Louis Park, Minnesota, U.S.
Joel David Coen (born November 29, 1954) and Ethan Jesse Coen (born September 21, 1957), collectively referred to as the Coen brothers, are American filmmakers. Their films span many genres and styles, which they frequently subvert or parody. Their best-reviewed works include Barton Fink (1991), Fargo (1996), The Big Lebowski (1998), No Country for Old Men (2007), True Grit (2010), and Inside Llewyn Davis (2013). The brothers write, direct, and produce their films jointly, although until The Ladykillers (2004), Joel received sole credit for directing and Ethan for producing. They often alternate top billing for their screenplays while sharing film credits for editor under the alias Roderick Jaynes. They have been nominated for thirteen Academy Awards together, plus one individual nomination for each, winning Best Original Screenplay for Fargo and Best Picture, Best Director and Best Adapted Screenplay for No Country for Old Men. The duo also won the Palme d'Or for Barton Fink, and were nominated for Fargo. The Coen brothers have written a number of films that neither of the two directed. These include the biographical war drama Unbroken (2014) and the historical legal thriller Bridge of Spies (2015), as well as more obscure and commercially unsuccessful comedy films such as Crimewave (1985), The Naked Man (1998), and Gambit (2012). Ethan is also a writer of short stories, theater, and poetry. Joel and Ethan Coen were born and raised in St. Louis Park, Minnesota, a suburb of Minneapolis. Their mother, Rena (née Neumann), was an art historian at St. Cloud State University, and their father, Edward Coen, was an economist at the University of Minnesota. Their family is Jewish. When they were children, Joel saved money from mowing lawns to buy a Vivitar Super 8 camera. Together, the brothers remade movies they saw on television, with a neighborhood kid, Mark Zimering ("Zeimers"), as the star. Their first attempt was a romp entitled Henry Kissinger, Man on the Go. Cornel Wilde's The Naked Prey (1965) became their Zeimers in Zambia, which also featured Ethan as a native with a spear. Joel Coen has said: "in regards to whether our background influences our film making... who knows? We don't think about it... There's no doubt that our Jewish heritage affects how we see things." Joel and Ethan graduated from St. Louis Park High School in 1973 and 1976, respectively. They both also graduated from Bard College at Simon's Rock in Great Barrington, Massachusetts. Joel then spent four years in the undergraduate film program at New York University, where he made a 30-minute thesis film called Soundings. Ethan went on to Princeton University and earned an undergraduate degree in philosophy in 1979. His senior thesis was a 41-page essay, "Two Views of Wittgenstein's Later Philosophy". Joel has been married to actress Frances McDormand since 1984. They adopted a son from Paraguay, named Pedro McDormand Coen. McDormand has acted in several Coen brothers' films, including a minor appearance in Miller's Crossing, a supporting role in Raising Arizona, lead roles in Blood Simple and The Man Who Wasn't There, her Academy Award winning role in Fargo, and her starring role in Burn After Reading. She also did a voice-over in Barton Fink. Ethan married film editor Tricia Cooke in 1990. They have two children: daughter Dusty and son Buster Jacob, who goes to Vassar College. Both couples live in New York. After graduating from New York University, Joel worked as a production assistant on a variety of industrial films and music videos. He developed a talent for film editing and met Sam Raimi while assisting Enda Ruth Paul in editing Raimi's first feature film, The Evil Dead (1981). In 1984, the brothers wrote and directed Blood Simple, their first commercial film together. Set in Texas, the film tells the tale of a shifty, sleazy bar owner who hires a private detective to kill his wife and her lover. The film contains elements that point to their future direction: distinctive homages to genre movies (in this case noir and horror), plot twists layered over a simple story, dark humor, and mise en scene. The film starred Frances McDormand, who would go on to feature in many of the Coen brothers' films (and marry Joel). Upon release the film received much praise and won awards for Joel's direction at both the Sundance and Independent Spirit awards. Their next project was Crimewave (1985), directed by Sam Raimi and written by the Coens and Raimi. Joel and Raimi also made cameo appearances in Spies Like Us (1985). The brothers' next film was Raising Arizona (1987), the story of an unlikely married couple: ex-convict H.I. (Nicolas Cage) and police officer Ed (Holly Hunter), who long for a baby but are unable to conceive. When a local furniture tycoon (Trey Wilson) appears on television with his newly born quintuplets and jokes that they "are more than we can handle", H.I. steals one of the quintuplets to bring up as their own. The film featured Frances McDormand, John Goodman, William Forsythe, Sam McMurray, and Randall "Tex" Cobb. Miller's Crossing, released in 1990, starred Albert Finney, Gabriel Byrne, and John Turturro. The film is about feuding gangsters in the Prohibition era, inspired by Dashiell Hammett's novels Red Harvest (1920) and The Glass Key (serialized in 1930). The following year, they released Barton Fink (1991); set in 1941, in which a New York playwright (the eponymous Barton Fink played by John Turturro) moves to Los Angeles to write a B-movie. He settles down in his hotel room to commence writing but suffers writer's block until he is invaded by the man next door (John Goodman). Barton Fink was a critical success, earning Oscar nominations and winning three major awards at the 1991 Cannes Film Festival, including the Palme d'Or. It was their first film with cinematographer Roger Deakins, a key collaborator for the next 25 years. The Hudsucker Proxy (co-written with Raimi) was released in 1994. In it, the board of a large corporation in 1958 New York City appoints a naive schmo as president (Tim Robbins), to sabotage the firm's own share price, so the board could later purchase their company's stock cheaply to retain ownership. However, their plan backfires when the new president invents the hula hoop. The film bombed at the box office ($30 million budget, $3 million gross in the USA), even though it featured Paul Newman, Jennifer Jason Leigh and Frances McDormand in a brief uncredited appearance. The Coens wrote and directed the crime thriller Fargo (1996), set in their home state of Minnesota. Jerry Lundegaard (William H. Macy), who has serious financial problems, has his wife kidnapped so that his wealthy father-in-law will pay the ransom. His plan goes wrong when the kidnappers deviate from the plan and local cop Marge Gunderson (McDormand) starts to investigate. Produced on a small budget of $7 million, Fargo was a critical and commercial success, with particular praise for its dialogue and McDormand's performance. 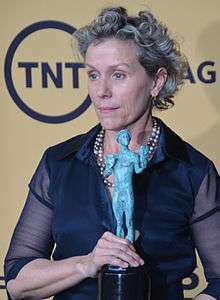 The film received several awards, including a BAFTA award and Cannes award for direction, and two Oscars: a Best Original Screenplay and a Best Actress Oscar for McDormand. In the Coens' next film, the black comedy The Big Lebowski (1998), "The Dude" (Jeff Bridges), a Los Angeles slacker, is used as an unwitting pawn in a kidnapping plot with his bowling buddies (Steve Buscemi and John Goodman). Despite initially receiving mixed reviews and underperforming at the box office, it is now well received by critics, and is regarded as a classic cult film. An annual festival, Lebowski Fest, began in 2002, and many adhere to the philosophy of "Dudeism". Entertainment Weekly ranked it 8th on their Funniest Movies of the Past 25 Years list in 2008. Gates of Eden, a collection of short stories written by Ethan Coen, was published in 1998. The same year, Ethan co-wrote the comedy The Naked Man, directed by their storyboard artist J. Todd Anderson. Ethan and Joel Coen at the 2001 Cannes Film Festival. The Coen brothers' next film, O Brother, Where Art Thou? (2000), was another critical and commercial success. The title was borrowed from the Preston Sturges film Sullivan's Travels (1941), whose lead character, movie director John Sullivan, had planned to make a film with that title. Based loosely on Homer's Odyssey (complete with a cyclops, sirens, et. al. ), the story is set in Mississippi in the 1930s and follows a trio of escaped convicts who, after absconding from a chain gang, journey home in an attempt to recover bank heist loot that the leader has buried. But they have no clear perception of where they are going. The film also highlighted the comic abilities of George Clooney, who starred as the oddball lead character Ulysses Everett McGill (assisted by his sidekicks, played by Tim Blake Nelson and John Turturro). The film's bluegrass and old time soundtrack, offbeat humor, and digitally desaturated cinematography made it a critical and commercial hit. The soundtrack CD was also successful, spawning a concert and a concert DVD of its own (Down from the Mountain (2000)) that coincided with a resurgence in interest in American folk music. The Coen brothers next produced another noirish thriller, The Man Who Wasn't There (2001). Set in late 1940s California, a laconic chain-smoking barber (played by Billy Bob Thornton) discovers a way to blackmail his wife's lover and use the proceeds to invest in a dry cleaning business. The Coens directed the 2003 film Intolerable Cruelty, starring George Clooney and Catherine Zeta-Jones, a throwback to the romantic comedies of the 1940s. The story focuses on hot shot divorce lawyer Miles Massey and a beautiful divorcée whom Massey managed to prevent from receiving any money in her divorce. She vows to get even with him while, at the same time, he becomes smitten with her. Intolerable Cruelty received generally positive reviews, although it is considered to be one of the duo's weaker films. Also that year, they executive produced and did an uncredited rewrite of the Christmas black comedy Bad Santa, which garnered positive reviews. In 2004, the Coen brothers made The Ladykillers, a remake of the Ealing Studios classic. A professor, played by Tom Hanks, assembles a team to rob a casino. They rent a room in an elderly woman's house to plan the heist. When the woman discovers the plot, the gang decides to murder her to ensure her silence. The Coens received some of the most lukewarm reviews of their careers in response to this film. They directed two short fims for two separate anthology films—Paris, je t'aime (Tuileries, 2006) starring Steve Buscemi, and To Each His Own Cinema (World Cinema, 2007) starring Josh Brolin. Both films received highly positive reviews. With Javier Bardem at the 2007 Cannes Film Festival. No Country for Old Men, released in November 2007, closely follows the 2005 novel of the same name by Cormac McCarthy. Vietnam veteran Llewelyn Moss (Josh Brolin), living near the Texas/Mexico border, stumbles upon, and decides to take, two million dollars in drug money. He then has to go on the run to avoid those looking to recover the money, including sociopathic killer Anton Chigurh (Javier Bardem), who confounds both Llewelyn and local sheriff Ed Tom Bell (Tommy Lee Jones). This plotline is a return to noir themes, but in some respects it was a departure for the Coens; with the exception of Stephen Root, none of the stable of regular Coen actors appears in the film. No Country has received nearly universal critical praise, garnering a 94% "Fresh" rating at Rotten Tomatoes. The film won four Academy Awards, including Best Picture, Best Director, and Best Adapted Screenplay, all of which were received by the Coens, as well as Best Supporting Actor received by Bardem. The Coens, as "Roderick Jaynes", were also nominated for Best Editor, but lost. It was the first time since 1961 that two directors (in that year, Jerome Robbins and Robert Wise for West Side Story) had received the honor of Best Director at the same time. In January 2008, Ethan Coen's play Almost an Evening premiered Off-Broadway at the Atlantic Theater Company Stage 2 and opened to mostly enthusiastic reviews. The initial run closed on February 10, 2008, but the same production was moved to a new theatre for a commercial Off-Broadway run. The commercial run began in March 2008 and ran until June 1, 2008 at the Bleecker Street Theater in New York City, produced by The Atlantic Theater Company and Art Meets Commerce. In May 2009, the Atlantic Theater Company produced Coen's Offices, as part of their mainstage season at the Linda Gross Theater. Burn After Reading, a comedy starring Brad Pitt and George Clooney, was released September 12, 2008; it portrays a collision course between a gym instructor, spies, and Internet dating. Released to positive reviews, it debuted at number one in the North American box office. In 2009, they directed a television commercial titled "Air Freshener" for the Reality Coalition. The Coens next directed A Serious Man, released on October 2, 2009, a "gentle but dark" period comedy (set in 1967) with a low budget. The film is based loosely on the Coen brothers' own childhoods in a Jewish academic family in the largely Jewish suburb of Saint Louis Park, Minnesota; it also drew comparisons to the Book of Job. Filming took place in late summer 2008 in some neighborhoods of Roseville and Bloomington, Minnesota, at Normandale Community College, and at St. Olaf College. The movie went on to be nominated for the Oscars for Best Picture, as well as Best Original Screenplay. True Grit (2010) is based on the 1968 novel of the same name by Charles Portis. Filming was done in Texas and New Mexico. Hailee Steinfeld stars as Mattie Ross along with Jeff Bridges as Marshal Rooster Cogburn. Matt Damon and Josh Brolin also appear in the movie. True Grit was nominated for ten Academy Awards, including Best Picture. Ethan Coen wrote the one-act comedy Talking Cure, which was produced on Broadway in 2011 as part of Relatively Speaking, an anthology of three one-act plays by Coen, Elaine May, and Woody Allen. Inside Llewyn Davis (2013) is a treatise on the 1960s folk music scene in New York City's Greenwich Village and very loosely based on the life of Dave Van Ronk. The film stars Oscar Isaac, Justin Timberlake and Carey Mulligan. It won the Grand Prix at the 2013 Cannes Film Festival, where it was highly praised by critics. They received a Golden Globe nomination for Best Original Song for "Please Mr. Kennedy", which is heard in the film. Fargo, a television series inspired by their film of the same name, premiered in June 2014 on the FX network. It is created by Noah Hawley and executive produced by the brothers. The Coens also contributed to the screenplay for Unbroken, along with Richard LaGravenese and William Nicholson. The film, directed by Angelina Jolie, and based on Laura Hillenbrand's non-fiction book, Unbroken: A World War II Story of Survival, Resilience, and Redemption (2010) which itself was based on the life of Louis Zamperini, was released on December 25, 2014 to average reviews. The Coens co-wrote, with playwright Matt Charman, the screenplay for the dramatic historical thriller Bridge of Spies, about the 1960 U-2 Incident. The film was directed by Steven Spielberg, and released on October 4, 2015 to critical acclaim. They were nominated for the Best Original Screenplay at the 88th Academy Awards. The Coens' most recent film, Hail, Caesar!, is about a "fixer" in 1950s Hollywood trying to discover what happened to a cast member who vanishes during filming. It stars Coen regulars George Clooney, Josh Brolin, Frances McDormand, Scarlett Johansson and Tilda Swinton, as well as Channing Tatum, Ralph Fiennes, Jonah Hill, and Alden Ehrenreich. The film was released on February 5, 2016. In 2016, the Coens gave to their longtime friend and collaborator John Turturro the right to use his character of Jesus Quintana from The Big Lebowski in his own spin-off, Going Places, which he would also write and direct. It is currently filming, although the Coens have no involvement in the production. The Coens first wrote the script for Suburbicon in 1986. It was eventually announced that the film would be directed by George Clooney and distributed by Paramount Pictures. Filming began in October 2016. In a 1998 interview with Alex Simon for Venice magazine, the Coens discussed a project called The Contemplations, which would be an anthology of short films based on stories in a leather bound book from a "dusty old library". In 2001, Joel stated that "a Cold War comedy called 62 Skidoo is one I'd like to do someday". The Coens had hoped to film James Dickey's novel To the White Sea. They were due to start production in 2002, with Jeremy Thomas producing and Brad Pitt in the lead role, but it was canceled when the Coens felt that the budget offered was not enough to successfully produce the film. In 2008, it had been announced that the Coen brothers would write and direct an adaptation of Michael Chabon's novel, The Yiddish Policemen's Union (2007). They were to produce the film with Scott Rudin for Columbia Pictures. In the fall of 2012, however, Chabon told Mother Jones that "the Coen brothers wrote a draft of a script and then they seemed to move on", and that the film rights had "lapsed back to me". In 2009, the Coen brothers stated that they are interested in making a sequel to Barton Fink called Old Fink, which would take place in the 1960s, around the same time period as A Serious Man. The brothers also stated that they have had talks with John Turturro in reprising his role as Fink, but they were waiting "until he was actually old enough to play the part". In 2011, the brothers were working on a television project, called Harve Karbo, about a quirky Los Angeles private eye for Imagine Television. In December 2013, the Coens stated in an interview that they are working on a new musical comedy centered around an opera singer, though they have said it is "not a musical per se". In the same interview, they revealed they are also working on a sword and sandals drama film set in ancient Rome. In August 2015, it was announced that Warner Bros. had optioned the film rights to Ross Macdonald's novel Black Money for the Coen brothers to potentially write and direct. In October 2016, The Hollywood Reporter reported that the Coens would work on the screenplay for Dark Web, a Fox project based on Joshuah Bearman's two-part Wired article about Ross Ulbricht and his illicit Silk Road online marketplace. The project originated in 2013, with novelist Dennis Lehane onboard for the screenplay. Chernin Entertainment will produce. The Coen brothers' own film production company, Mike Zoss Productions located in New York City, has been credited on their films from O Brother, Where Art Thou? onwards. It was named after Mike Zoss Drugs, the brothers' beloved hangout when they were growing up in the Twin Cities. The name was also used for the pharmacy in No Country for Old Men. Up to 2003, Joel received sole credit for directing and Ethan for producing, due to guild rules that disallowed multiple director credits to prevent dilution of the position's significance. The only exception to this rule is if the co-directors are an "established duo". Now that they are able to share the director credit (as an established duo), the Coen brothers have become only the third duo to be nominated for the Academy Award for Best Director. The first two pairs to achieve this were Robert Wise and Jerome Robbins (who won for West Side Story in 1961), and Warren Beatty and Buck Henry (who were nominated for Heaven Can Wait in 1978). Only six other directors have won three Oscars for the same film, a distinction the duo shares with Billy Wilder, James L. Brooks, Francis Ford Coppola, James Cameron, Peter Jackson and later Alejandro González Iñárritu in 2015. With eight Academy Award nominations for No Country for Old Men, including Best Picture, Director, Adapted Screenplay, and Film Editing (Roderick Jaynes), the Coen brothers have tied the record for the most nominations by a single nominee (counting an "established duo" as one nominee) for the same film. Orson Welles set the record in 1941 with Citizen Kane being nominated for Best Picture, Director, Actor, and Screenplay (with Herman J. Mankiewicz). Woody Allen tied Welles' record when he was nominated for Best Picture, Director, Actor and Screenplay for Annie Hall, and then Warren Beatty received the same nominations, first for Heaven Can Wait in 1978 and again in 1981 with Reds. Alan Menken also then achieved the same feat when he was nominated for Best Score and triple-nominated for Best Song for Beauty and the Beast in 1991. Joel's wife Frances McDormand is their most frequent acting collaborator. The Coen brothers often cast certain actors in their films, most frequently Frances McDormand (Joel's wife), Steve Buscemi, John Goodman, Jon Polito, and John Turturro. They have worked twice with Jeff Bridges and at least three times with Michael Badalucco, George Clooney, Richard Jenkins, Stephen Root, Bruce Campbell, and Josh Brolin. The Coens similarly tend to work with certain crews as well, especially Roger Deakins, Jess Gonchor, Skip Lievsay, and Mary Zophres. They used cinematographer Barry Sonnenfeld on their first three films, through Miller's Crossing, until Sonnenfeld left to pursue his own directing career. Deakins has been the Coen brothers' cinematographer for all their subsequent films except Burn After Reading, on which they employed Emmanuel Lubezki, and Inside Llewyn Davis, on which they employed Bruno Delbonnel. Sam Raimi is another frequent collaborator. He helped write The Hudsucker Proxy, which the Coen brothers directed, and the Coen brothers helped write Crimewave, which Raimi directed. Raimi took tips about filming A Simple Plan (1998) from the Coen brothers, who had recently finished Fargo. (Both films are set in blindingly white snow, which reflects a lot of light and can make metering for a correct exposure tricky). Raimi has cameo appearances in Miller's Crossing and The Hudsucker Proxy. Raimi and the Coens met when Raimi directed The Evil Dead (1981), for which Joel was hired as an assistant editor. Carter Burwell has scored all of the Coens' films, aside from Crimewave (1985), although T-Bone Burnett produced much of the traditional music in O Brother, Where Art Thou? and The Ladykillers, and was in charge of archive music for The Big Lebowski. Skip Lievsay handles the sound editing for all of the Coens' films. Most of the Coens' films have been credited to the editor "Roderick Jaynes", an alias which refers collectively to the two Coen brothers. Tricia Cooke, Ethan's wife, was also an editor on three of their films (The Big Lebowski, O Brother, Where Art Thou?, and The Man Who Wasn't There) after working as assistant editor on four of their earlier films (Miller's Crossing, Barton Fink, The Hudsucker Proxy, and Fargo). Michael R. Miller edited Raising Arizona and Miller's Crossing. King, Lynnea Chapman (2014). The Coen Brothers Encyclopedia. Lanham: Rowman & Littlefield. ISBN 978-0-8108-8576-9. 1 2 State of Minnesota. Minnesota Birth Index, 1935–2002. Minnesota Department of Health. ↑ Austerlitz, Saul (December 19, 2010). "Joel and Ethan Coen: A study in subversion". Boston.com. Retrieved July 3, 2016. 1 2 3 "Coen brothers prove two heads are better than one". Agence France-Presse. February 24, 2008. Retrieved October 5, 2008. Archived March 26, 2009, at the Wayback Machine. ↑ "Rena Neumann Coen, 76, Was Art Historian, Filmmakers' Mother". St. Paul Pioneer Press. October 23, 2001. p. B6 local. ↑ akner, claude brodesser. "From Their Childhood Friend, How to Better Know a Coen Brother". vulture. Retrieved 28 December 2015. ↑ "Joel and Ethan Coen: Biography". The Gods of Filmmaking. Retrieved October 5, 2008. ↑ "Page for Ethan Coen's senior thesis". Retrieved April 18, 2015. ↑ Verini, James (March 28, 2004). "The United States of Coen". Los Angeles Times. Retrieved March 15, 2012. ↑ Campbell, Bruce (2002). If Chins Could Kill (First ed.). New York, NY: LA Weekly Books. p. 129. ISBN 0312291450. ↑ "Blood Simple – Cast, Crew, Directors and Awards". The New York Times. Retrieved January 15, 2016. ↑ "Festival de Cannes: Barton Fink". festival-cannes.com. Retrieved August 9, 2009. ↑ "Festival de Cannes: Fargo". festival-cannes.com. Retrieved January 14, 2016. ↑ "'English Patient' Dominates Oscars With Nine, Including Best Picture". The New York Times. Retrieved January 14, 2016. ↑ "The big Lebowski (1998)". Rotten Tomatoes. ↑ Morgenstern, Joe (November 7, 2006). "Deconstructing the Dude – Why 'The Big Lebowski' is a cult classic – and a cultural touchstone". Wall Street Journal. Retrieved October 5, 2008. ↑ Ehrlich, Richard. "The man who founded a religion based on 'The Big Lebowski'". CNN. Turner Broadcasting Systems Inc. Retrieved 14 January 2016. ↑ "The Comedy 25: The Funniest Movies of the Past 25 Years". Entertainment Weekly. Entertainment Weekly. Retrieved 14 January 2016. ↑ Lehmann-Haupt, Christopher (December 17, 1998). "BOOKS OF THE TIMES; Shadowy Snapshots of a Nightmare Dreamscape". The New York Times. ↑ Lindquist, Mark (December 20, 1998). "Gates of Eden". The New York Times. ↑ Phipps, Keith. "The Naked Man". The A.V. Club. Retrieved 15 January 2016. ↑ "Movie of the Week: "Sullivan's Travels"". The New Yorker. ↑ "O Brother, Where Art Thou? (2000)". Rotten Tomatoes. Flixster. Retrieved January 14, 2016. ↑ "O Brother, Where Art Thou? (2000)". Box Office Mojo. Retrieved January 14, 2016. ↑ "Intolerable Cruelty". October 10, 2003. ↑ "Terry Zwigoff Talks Battling Over 'Bad Santa,' His Preferred Director's Cut & Much More In Candid Interview". Indiewire. Retrieved January 15, 2016. ↑ "Disney remakes The Lady Killers". Telegraph. ↑ "The Ladykillers Movie Reviews, Pictures". Rotten Tomatoes. Retrieved September 27, 2010. ↑ Springer, Mike. "Tuileries: A Short, Slightly Twisted Film by Joel and Ethan Coen". Open Culture. Retrieved 15 January 2016. ↑ Fischer, Russ. "Big Directors Small Films: The Coen Brothers Short Film 'World Cinema'". Slash Film. Retrieved 15 January 2016. ↑ "To Each His Own Cinema (2007)". Rotten Tomatoes. Retrieved January 15, 2016. ↑ "Paris, I Love You (2007)". Rotten Tomatoes. Retrieved January 15, 2016. ↑ "No Country for Old Men (2007)". Rotten Tomatoes. Retrieved October 5, 2008. ↑ "The 80th Academy Awards (2008)". The Academy of Motion Pictures Arts and Sciences (AMPAS). February 24, 2008. ↑ "Atlantic Theater Company". Atlantic Theater Company. Retrieved February 28, 2011. ↑ "Art Meets Commerce". artmeetscommerce.net. ↑ Brantley, Ben. "Coen's-Eye View of 9 to 5". The New York Times. Retrieved 14 January 2016. ↑ "Burn After Reading (2008) – Weekend Box Office Results". Box Office Mojo. Retrieved September 26, 2008. ↑ Burdick, Dave (February 26, 2009). "Coen Brothers Direct New "Clean Coal" Ad". The Huffington Post. Retrieved February 28, 2009. 1 2 Covert, Colin (September 6, 2008). "In Twin Cities, Coen brothers shoot from heart". Star Tribune. Retrieved October 5, 2008. ↑ Evans, K.L. Evans (2012). "How Job Begat Larry: The Present Situation in A Serious Man". In Conard, Mark T. The Philosophy of the Coen Brothers. University Press of Kentucky. pp. 289–303. ISBN 978-0813134451. ↑ Henke, David (August 19, 2008). "Coen brothers will use St. Olaf for movie". Northfield News. Retrieved January 14, 2016. ↑ Gonnerman, David (October 9, 2008). "St. Olaf gets 'Serious'". St. Olaf College News. Retrieved January 14, 2016. ↑ "The 82nd Academy Awards (2010) Nominees and Winners". Academy of Motion Picture Arts and Sciences (AMPAS). Retrieved January 14, 2016. ↑ Michael Fleming (March 22, 2009). "Coen brothers to adapt 'True Grit' – Entertainment News, Film News, Media". Variety. Retrieved February 28, 2011. ↑ "Coen Brothers to film 'True Grit' remake in NM". Boston Herald. February 12, 2010. Retrieved February 28, 2011. ↑ "Oscar nominations 2011 in full". BBC News. January 25, 2011. Retrieved July 10, 2014. ↑ "Oscar nominees 2011". MSN Movies UK. January 25, 2011. Retrieved July 10, 2014. ↑ Isherwood, Charles. "Each Family, Tortured in Its Own Way". The New York Times. Retrieved 14 January 2016. ↑ Fischer, Russ (June 25, 2011). "The Coen Bros. New Script is Based on the 60's NYC Folk Scene". /Film. Retrieved June 25, 2011. ↑ Labrecque, Gabe (October 31, 2011). "Coen brothers target Justin Timberlake for 'Inside Llewyn Davis'". Entertainment Weekly. Retrieved November 5, 2011. ↑ "2013 Official Selection". Cannes. April 18, 2013. Retrieved April 18, 2013. ↑ "Golden Globes Nominations: The Full List". Variety. Penske Media Corporation. January 11, 2014. Retrieved January 14, 2016. ↑ Andreeva, Nellie (September 21, 2012). "FX Teams With Joel & Ethan Coen And Noah Hawley For Series Adaptation Of 'Fargo'". Deadline.com. Retrieved January 15, 2016. ↑ Kit, Borys. "Coen Brothers to Rewrite Angelina Jolie's 'Unbroken' (Exclusive)". The Hollywood Reporter. ↑ "Bridge of Spies". Rotten Tomatoes. Retrieved January 14, 2016. ↑ Rothman, Michael; McKenzie, Joi-Marie. "Oscars 2016: Complete List of Nominees". ABC News. Retrieved 14 January 2016. ↑ Kit, Borys (July 10, 2014). "Jonah Hill Joining Channing Tatum, George Clooney in Coen Brothers' 'Hail, Caesar!'". The Hollywood Reporter. Retrieved July 10, 2014. ↑ "'Big Lebowski' Spinoff 'Going Places': First Photo of John Turturro as Jesus Revealed". IndieWire. August 22, 2016. Retrieved August 29, 2016. ↑ "WILL FERRELL AND JOHN C. REILLY REUNITE TO PLAY HOLMES AND WATSON, PLUS MORE MOVIE NEWS". Rotten Tomatoes. August 19, 2016. Retrieved August 29, 2016. ↑ "George Clooney Back With Coen Brothers". Empire. November 22, 2005. Retrieved October 12, 2016. ↑ Smriti Mundhra (October 31, 2001). "10 Questions: Joel Coen". IGN. Retrieved April 6, 2008. ↑ Patterson, John (December 21, 2007). "We've killed a lot of animals". The Guardian. London. Retrieved February 28, 2011. ↑ Purcell, Andrew (February 8, 2008). "Scott Rudin is on a roll". The Guardian. London. Retrieved February 12, 2008. ↑ Mechanic, Michael (Sep–Oct 2012). "Michael Chabon's Vinyl Draft". Mother Jones. Retrieved September 9, 2012. ↑ Adam Rosenberg (September 21, 2009). "EXCLUSIVE: Coen Brothers Want John Turturro To Get Old For 'Barton Fink' Sequel, 'Old Fink'". MTV. Retrieved September 21, 2009. ↑ Lesley Goldberg (October 4, 2011). "Fox, Coen Brothers Team for Comedy Project". The Hollywood Reporter. Retrieved October 31, 2011. ↑ "The Coen Brothers are Writing a Film About an Opera Singer". SlashFilm.com. ↑ Mike Fleming Jr. "Coen Brothers To Write & Direct Ross MacDonald Novel 'Black Money' – Deadline". Deadline. ↑ Bearman, Joshua (May 2015). "The Rise and Fall of Silk Road". Wired. Retrieved 17 October 2016. ↑ Siege, Tatiana (October 14, 2016). "Coen Brothers to Write Internet Thriller 'Dark Web' for Fox (Exclusive)". The Hollywood Reporter. Retrieved 2016-10-17. ↑ Mike Zoss Production Inc. "Mike Zoss Production Inc – New York City (NY) | Company Profile". Manta.com. Retrieved August 3, 2010. ↑ Ross, Jenna. "Drugstore has role in lives, film of Coen brothers," Star Tribune (Minneapolis, MN), Friday, November 9, 2007. ↑ Desowitz, Bill (December 4, 2013). "New York Film Critics' Cinematography Winner Delbonnel Goes 'Inside Llewyn Davis'". Indiewire. New York City. Retrieved December 6, 2013. ↑ Beggs, Scott (May 23, 2012). "6 FILMMAKING TIPS FROM THE COEN BROTHERS". Film School Rejects. Retrieved January 14, 2016. ↑ Beggs, Scott (April 24, 2015). "Tribeca: Here's Why the Coen Brothers' Films Always Sound Magnificent". Indiewire. Retrieved January 14, 2016. ↑ Yuan, Jada (January 22, 2008). "Roderick Jaynes, Imaginary Oscar Nominee for 'No Country'". Vulture. New York. Retrieved July 10, 2014. Wikimedia Commons has media related to Coen brothers. video: The Films of the Coen Brothers, compilation of movie clips, 3 min.